Are you or any of your friends or relatives suffering from tonsillitis? 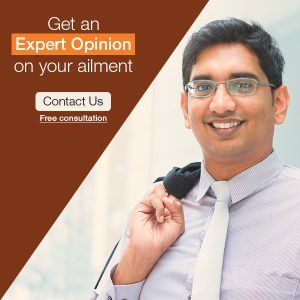 Do you want to obtain a quick and long-lasting relief from the discomfort resulting due to tonsillitis? If you said yes, then following some simple home remedies can provide you a quick and effective relief from the troubles of tonsillitis. Read on to learn all about it. 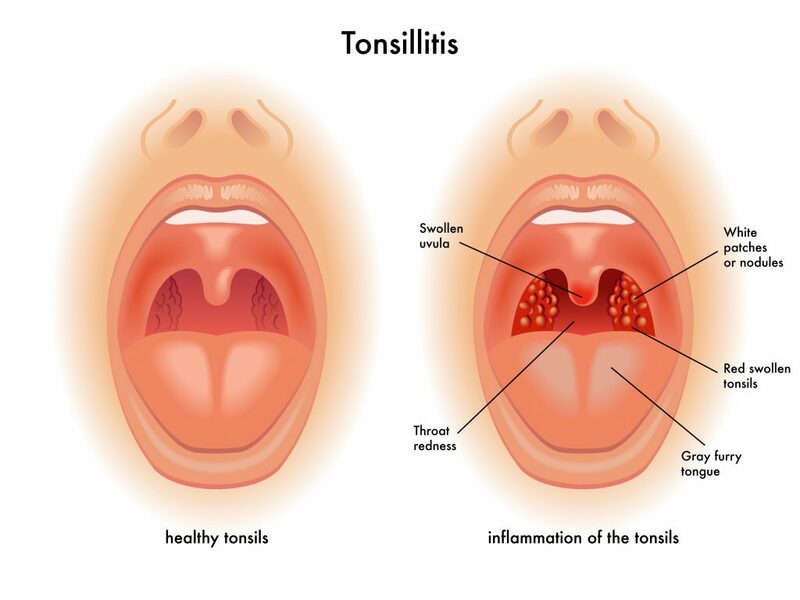 Tonsillitis is a condition that causes inflammation of tonsils, which are lymph nodes located on both sides of your throat. This condition is commonly observed in children, but it can affect grown-ups too at times. A sore throat, difficulty in swallowing, sneezing, swollen tonsils, headaches, fever, and other similar discomfort are common symptoms of tonsillitis. The intensity of tonsillitis can be mild, moderate, or severe. Viral or bacterial infection can also cause enlargement of tonsils and affect you. And, following some effective home remedies can offer you a quick and long-lasting relief from the symptoms of tonsillitis. Find below some simple home remedies that can help you treat tonsillitis at home. Saltwater is used to alleviate the discomfort resulting due to tonsillitis from many centuries. It is a simple and quite common remedy for tonsillitis. All you need to do is add a tablespoon of salt to a glass of warm water, mix it well, and gargle using this warm salt water. Do not swallow the water. Spit it out once you finish gargling. Salt helps to reduce the inflammation and also helps in killing the virus or bacteria giving you an instant relief. Warm water gives your throat a soothing effect. Repeat this as many times as you can. It also helps in keeping your mouth clean and in preventing the growth of infection on the surface of the tonsils. Turmeric is a proven antiseptic remedy from ancient times. It also has strong anti-inflammatory properties. Add one teaspoon of turmeric powder and a pinch of black pepper to warm milk and drink it at night before going to bed. It will help in speeding up the healing process and getting rid of irritating symptoms. Apple Cider Vinegar is known to possess many medicinal properties. One of its medicinal properties is that it helps in reducing the swelling and pain of tonsillitis. Add one tablespoon of apple cider vinegar to a glass of warm water. Gargle this solution for quick relief. Known for incredible antiviral and anti-inflammatory properties, Basil is an excellent remedy for tonsillitis. Boil 12 to 15 Basil leaves in 2 cups of water for 10 minutes. Strain it and add lime juice to it. You can add a dash of honey to sweeten this drink. And, drink this thrice a day. Brew a cup of soothing Chamomile tea. Make sure you have it hot. Keep it covered before having it to keep essential oils in it. Chamomile will help in reducing the pain and soothing your throat as well. Lemon is an age-old natural remedy for tonsillitis. It is known for its antiviral, anti-bacterial, and anti-inflammatory properties. Lemon helps in reducing the infection and inflammation when you are suffering from tonsillitis. In a glass of lukewarm water, add lime juice and a pinch of salt and honey. Mix it well. Drink this mixture twice a day. It will help in speeding up your recovery process as well. Swollen tonsils can make it difficult for you to swallow food easily. Hot soups can be filling as well as help in clearing your congestion. As your soup is full of all essential nutrients, it helps in building your immune system as well. Cinnamon is known to possess powerful antimicrobial properties. Add 1 teaspoon of cinnamon powder to a glass of hot water. You can add honey to sweeten this drink. While it is warm, keep on sipping this drink. Have this twice or thrice a day. Cinnamon will help in inhibiting the growth of bacteria and other micro-organisms on the surface of your tonsils. Thus, it will help in reducing your swelling and pain and in speeding up your healing process. Beetroot is rich in folic acid, iron, calcium, phosphorus, potassium, iodine, copper, manganese, and sulfur. It is highly recommended if tonsillitis is caused due to constipation as it is rich in fiber. This will also help in improving your digestion. Beetroot combats toxic agents that cause tonsillitis and helps in reducing the toxicity of your body. When suffering from tonsillitis, have lots of healthy fluids to keep your body hydrated. This will also help in preventing your throat from turning dry and itchy. Have plenty of water, soups, hot beverages, and other healthy drinks. Stay away from aerated drinks, yogurt, overly spicy and sour foods, sour cream, and other sour foods and liquids as they can irritate your throat and worsen your symptoms. These simple home remedies will definitely help in giving you a great relief from tonsillitis. However, after a week, if your symptoms aren’t getting better then make sure you consult a doctor. Also, if you are suffering from chronic tonsillitis, you have to consult a doctor from the same.